Having more or less spun their wheels throughout the whole week, precious metals are going to be heading into the weekend not having a lot of positives to take away from the past 5 days. There was quite a bit of economic data dealt, but most of it was fringe data that did not necessarily concern investors all that much. Even despite this rather lackluster, losing week, gold and silver bulls are still in control and hold a lot of momentum. 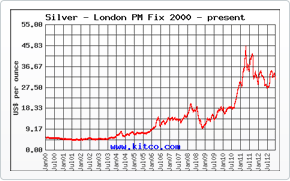 As such, the safe-haven demand that fueled precious metals’ rally a few weeks ago is still hanging around. Unfortunately, it does not have the power it once did and is doing more to prevent losses from becoming overstated than anything else. As we look ahead to the rest of the month of July, the FOMC policy meeting, which is fast-approaching, will slowly but surely be called into focus. With fresh discussions regarding interest rate hikes in the US being a hot topic this week, there is still a lot that the Fed can do to flip the current global marketplace on its head. Despite what you may have been hearing since the BRExit vote, there is still a fairly high likelihood that interest rates in the United States will be raised before the end of the year. In fact, there are some who believe that rates will be raised at least twice before 2016 is through. President of the Philadelphia Federal Reserve Patrick Harker was quoted this week as saying that he expects to see rates hike twice before this year is brought to an end. With all this being said, the general consensus remains that we will only see one more rate hike, if that. The fact of the matter is that even though the US economy is doing well, the rest of the world is far from that and may hold the Fed back from hiking rates more than they already have. It will be very interesting to see what happens at this month’s FOMC meeting, especially if US economic data continues to perform as well as it has been. Other US economic dealt included the producer price index from the month of June. While most experts were anticipating to see prices rise by .3% during June, the actual figures showed an increase of .5%. This was widely unexpected and helped give the already potent US stock index even more of a boost. And that was basically the story for gold and silver all week—better-performing equities held spot values back and prevented them from venturing any further forward. In other US economic news, weekly jobless claims were even from last week to this week. This was great news because most expectations held that the claims would increase by more than 10,000. Adding to the upbeat tone of US employment data was the fact that the 4-week moving average of claims fell by almost 6,000. For those who may not know, the 4-week moving average is widely considered to be the most reliable view of the current condition of the US employment sector. Finally, the Bank of England wrapped up their monthly policy meeting and did not make any changes to policy. This added a sense of calm across the UK and the world. Helping calm things in the UK down even further was the fact that a new PM is soon to be sworn in. What this means for the near and long-term futures of European economic performance, however, remains to be seen. The rest of the summer will be very interesting, that much is for sure.